On March 22nd 2019, we will release “Zeitreise” (Time Travel) – a collection of works that ranges from the past into the future! We are in the 30th year of Lacrimosa and I noticed in recent years that a not inconsiderable part of our audience has some trouble to grasp the entire work with its more than 100 compositions – which is of course more than understandable! Therefore, we feel the need to offer a compact journey through the history of Lacrimosa! 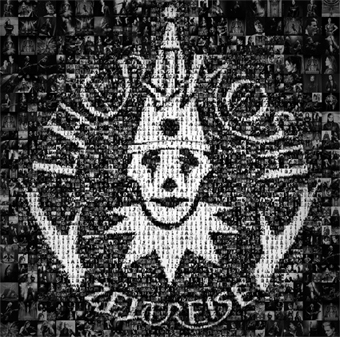 And so the title Time Travel is to be taken literally, because in addition to the view into the musical history (as well as special versions of some songs) this double CD, with “Lass die Nacht nicht über mich fallen – Reprise” offers a radical new recording of this particular title and with “Drei Sekunden” an exclusive and completely new song! And this collection even reaches into the future, because with “In Schatten der Sonne” we present another new composition, which is also a preview of the next studio album! According to Lacrimosa, this CD will also be outfitted in an elaborate design with a thick booklet and many, partly unpublished photos! I hope “Zeitreise” will bring you pleasure!